It’s hard to understand what you like about a wine until you know what particular characteristics about that wine are pleasing to your palate. Learning this is easier than you may think. And by learning this, you’ll be better able to communicate with retailers when asking for help selecting a wine. You’ll be more relaxed ordering wine in restaurants and happier with the wines you bring home. And no, it’s not necessary for you to become a wine “geek”, or study enology. Of course, there are courses available, both formal and self-study. And then there are the “experiences.” You can combine a fun experience with a vacation and come back with both wine and an appreciation of why it is that you like what you do. 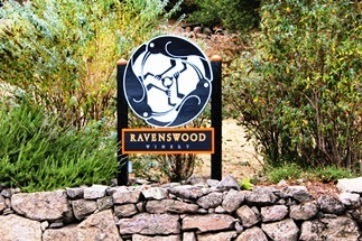 I enjoyed just such an experience at Ravenswood Winery in Sonoma last October. being famous for Zinfandel, that will be one. You’ll also have Carignan and a Petite Sirah. Of course, you have the opportunity to taste these individually, but more important is learning what these varietals contribute to red blends (the fastest growing segment in America today). blend. I increased and decreased percentages several times along the experience before I settled in at 13 parts Zin, 3 Carignan and 4 Petite Sirah. My friend concocted even more potions before arriving at 3 ml of Zinfandel and 17 ml of Petite Sirah. She eliminated Carignan completely. We learned that she liked a wine I would consider “flabby” due to its “lack” of acid. Hers could legally be labeled Petite Sirah (and I have had several that I did enjoy). Mine would not be labeled as a varietal, but simply a red blend consisting of 65% Zinfandel, 15% Carignan and 20% Petite Sirah. Remembering the words of Pliny the Elder spoken more than 2000 years ago (“The best wine is that which taste good to thine own palate”), there is no wrong blend. 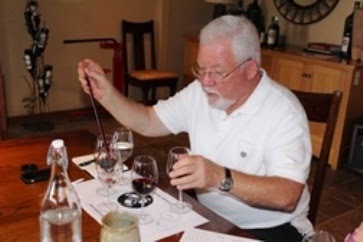 And whether you are a novice or advanced wine consumer, Ravenswood’s “Blend Your Own” experience will give you a memory and an understanding of wine and your likes that you will long enjoy. To reinforce the experience, you’ll also leave with a corked and sealed 375ml bottle of your own blend. And on a separate level, the whole experience is just good fun. The winery offers beautiful views and an opportunity to enjoy these views while tasting their acclaimed and awarded wines. Although famous for Zinfandel, Ravenswood also produces Merlot, Cabernet Sauvignon, Shiraz, a red blend and Chardonnay in addition to those already mentioned. Varietals are offered both as single vineyard and cuvees and along several price points. In fact, the winery’s first vintage of two single vineyard lots from 1976 were ranked #1 and #2 in 1979 at a San Francisco Tasting. That’s a good history and things have only gotten better. I haven’t read Pilkington’s book, and can’t claim to even heard of him. But I agree with the sentiment of his quote that it’s better liking what you like than being told what to like. Ravenswood’s “Blend Your Own” experience gives you just that opportunity. Follow and like Wine Mizer on Face Book for mini-reviews, fun facts, recipes and more.